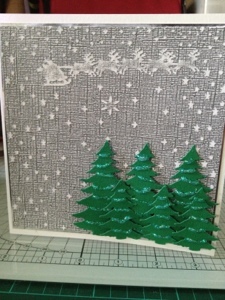 I am loving the fact I am challenging myself to make a card for the crafters companion uk challenge blog. it's a wonderful card Sam. Great Christmas scene you've created. Fabulous Christmas scene and love the trees. Its a beautiful and elegant card - I'm glad you choose to join us at Crafters Companion's Embossing Challenge and good luck.